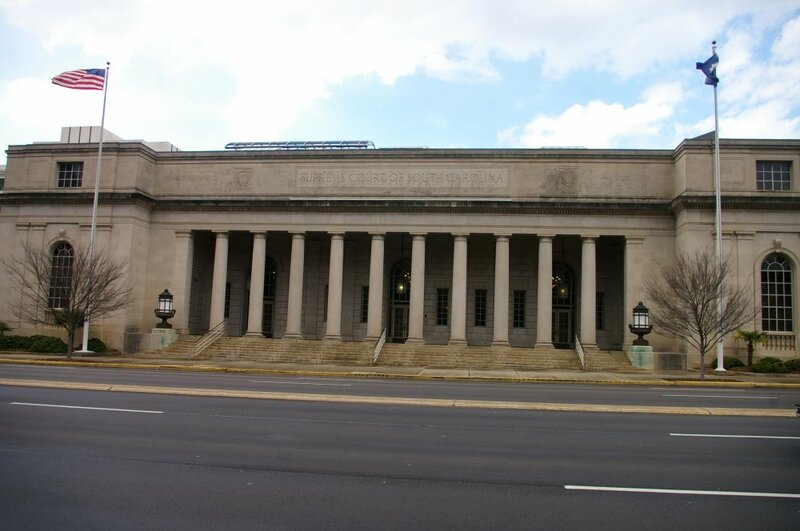 Description: The building faces south and is a one story stone structure. 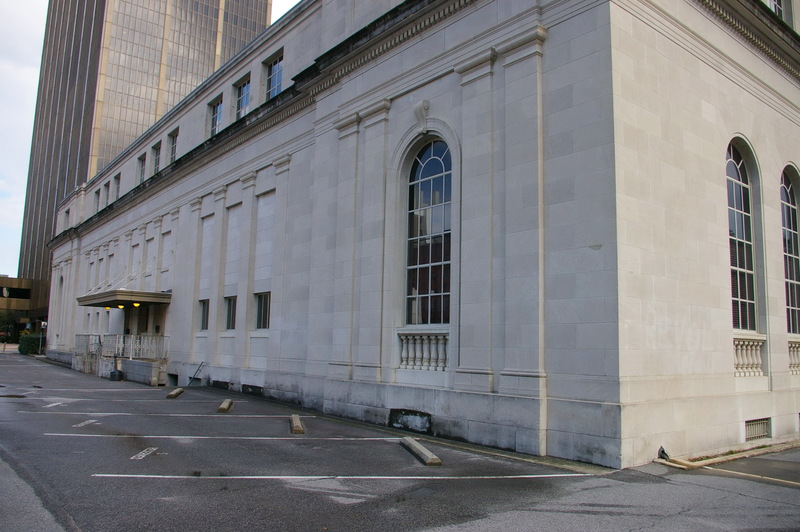 Along the south front are stone columns. 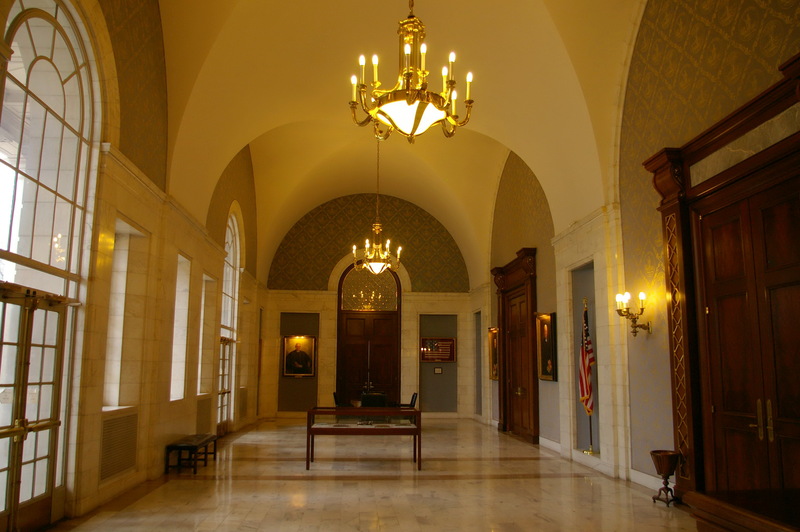 The Supreme Court Chamber is located on the north side of the entrance lobby. 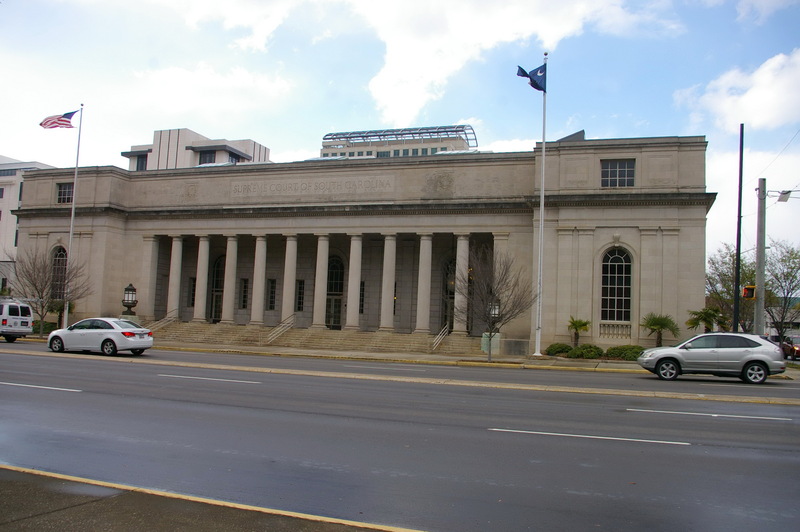 The Supreme Court was housed in the State Capitol until 1971, when it moved into what was the old Columbia Post Office. 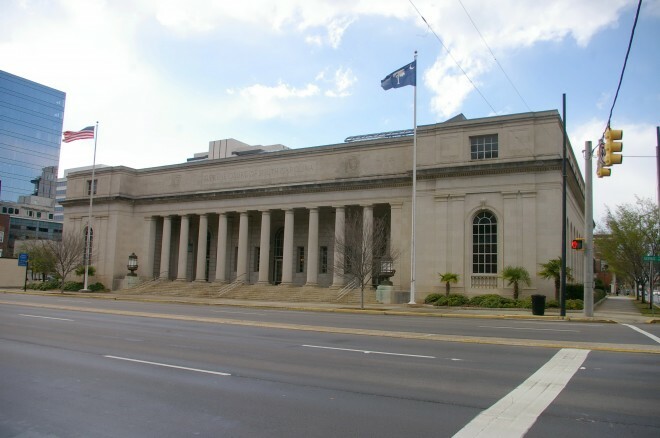 The building was purchased by the State in 1966 and renovated in 1991. 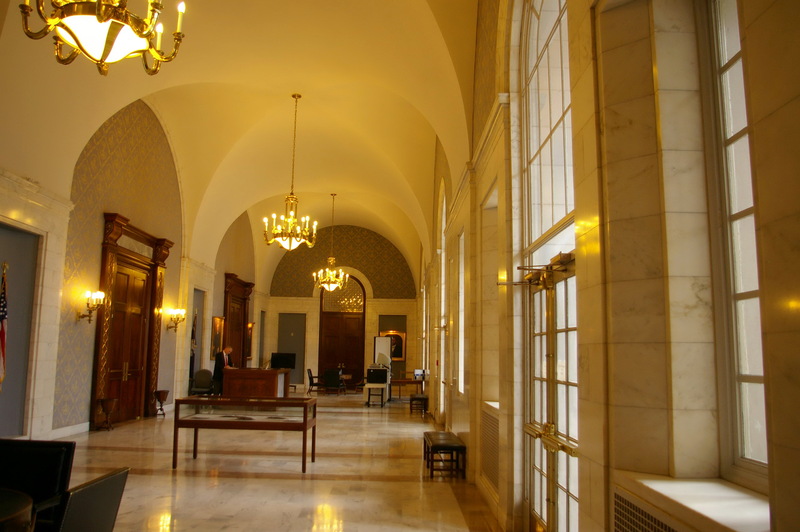 The architect was Stevens & Wilkinson and the contractor was Triangle Construction Company. 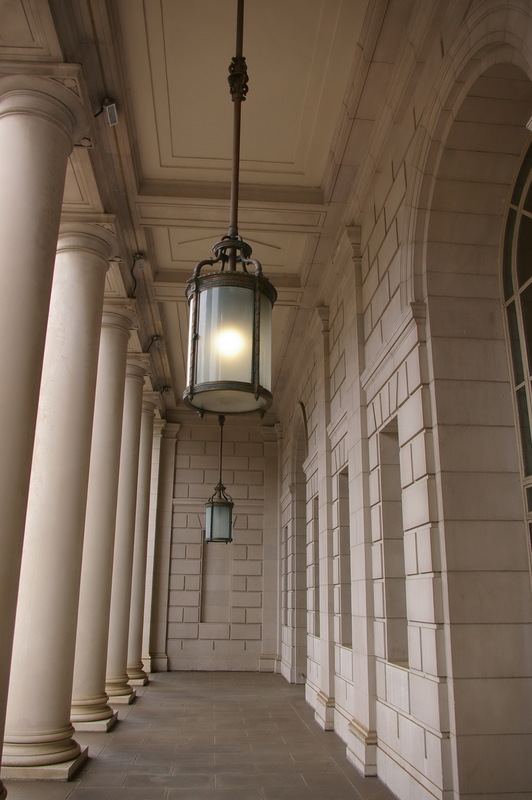 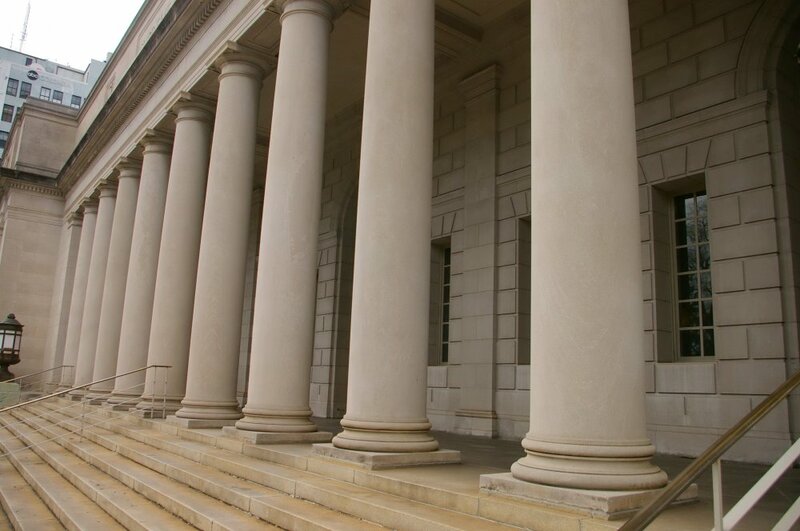 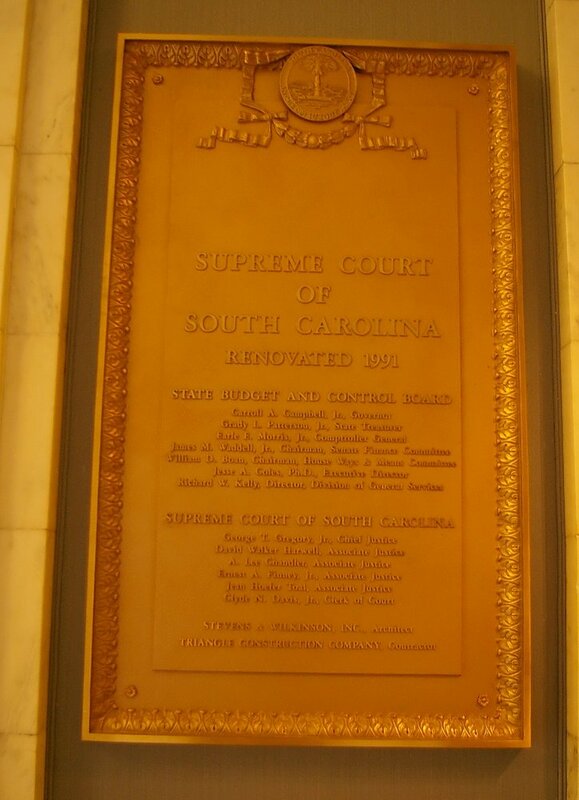 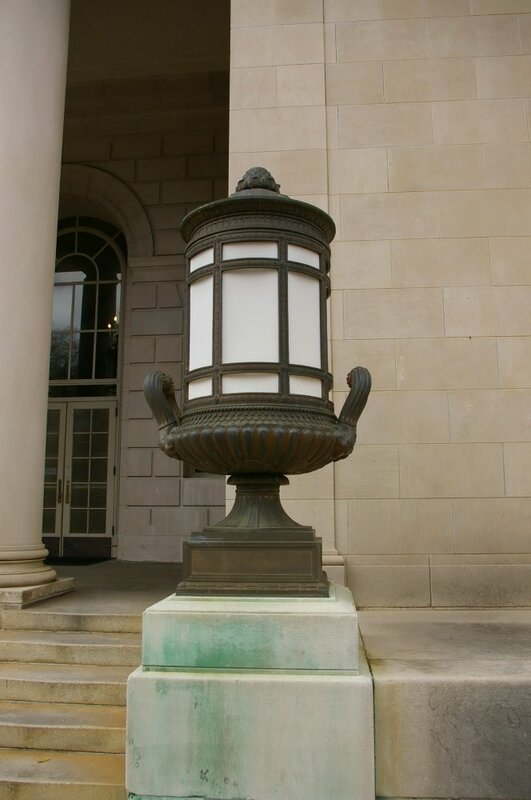 Modifications to the building included construction of an impressive courtroom, decorated with the seal of the Supreme Court and other symbols of our South Carolina heritage. 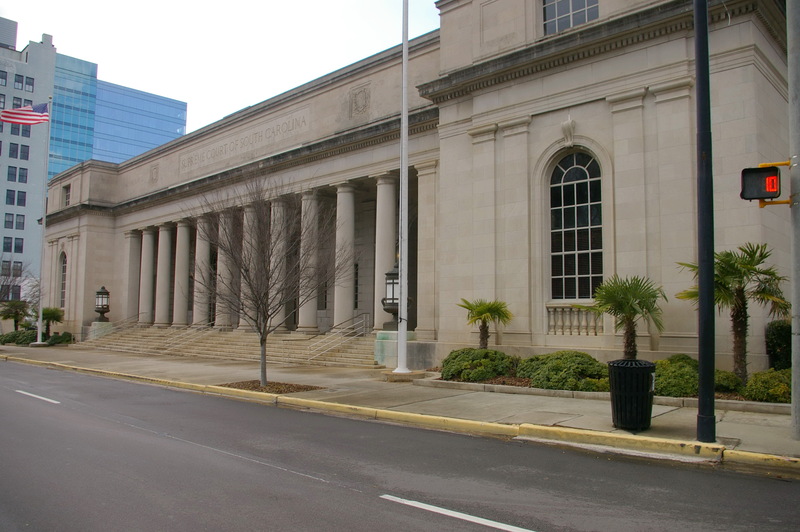 See: The South Carolina Supreme Court is located in Richland County.